Starting a small business can be as frightening as it is thrilling. Most entrepreneurs kick around an idea for a business venture for months or years. They’ve saved and planned, and have now decided to take the plunge into an endeavor that can be both financially and personally rewarding. Yet for some small-business owners, entrepreneurship isn’t an inherently solitary effort, as many decide to go into business with a partner. This is often a smart move—one half of the team may be financially savvy, while the other focuses on creative elements and marketing. Choosing a business partner also may provide a startup with more capital and increase the chances of getting startup financing from a lending institution. All of this is great, but over the years, countless companies have fallen due to strained relationships between business partners, internal fights about money, or disagreements on how a company should be run. So before diving into work with someone after only a few conversations, be sure to ask both your partner and yourself several questions. Here are four things to consider when finding the right business partner. 1. Level of Commitment. In your mind as an entrepreneur, you know you’ll have to dedicate much of your time to bringing your vision to life. That means some late nights, planning sessions, financial investments, and a continued enthusiasm for making this company work. Many pour themselves into their business—blood, sweat, tears, and all. It’s crucial, then, that no matter what the business is—whether a small design company run out of a partner’s home or an animation/post-production studio built up by moonlighting—both partners are equally invested, Entrepreneur suggests. If you think someone’s enthusiasm might fade after a few weeks or months, be wary—you may soon find yourself financially involved with someone who’s damaging your brand. It might not matter if your partner is more attune to Excel spreadsheets than creative elements, so long as he or she is just as enthused and committed to success. 2. What a Partner Brings to the Mix. When considering a business partner, evaluate the skills a potential partner will bring to the table. 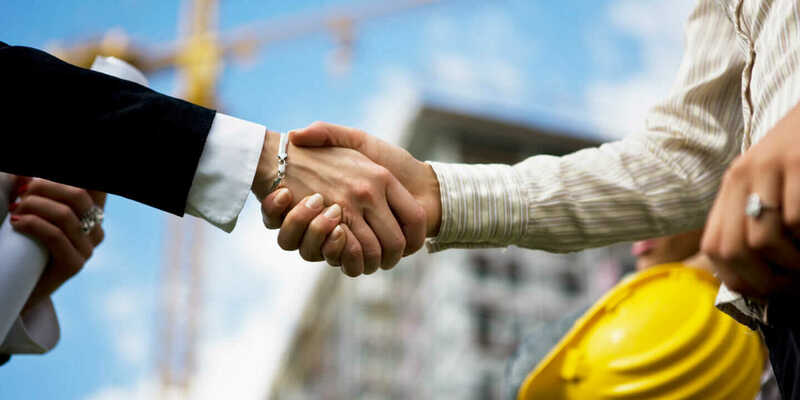 Business connections and the ability to financially contribute to an enterprise are valuable, but if that’s as far as the list goes, teaming up may not be worth the risk. In fact, relying on someone for their finances can easily backfire—while you’re doing all the hard work, they’re reaping the benefits without breaking a sweat. Instead, look for someone who has talents that complement yours. Skills such as marketing, writing, legal knowledge, and client-relationship management all contribute to building a management team with a diverse and refined skill set. Each business will have its own needs, so it’s important to consider what is necessary to make a company thrive. An analytical mind can often balance out a creative persona, like the left and right brain combining to form a powerful, cohesive mind. It can be of benefit if a creative individual can get a logic-driven person to see things from a different perspective, and vice versa. Ideally, business partners will be able to disagree and respect one another enough to consider their suggestions. Think of your own strengths and weaknesses, and do the same for your potential partner. Do you make up for each other’s weaknesses, and will their strengths positively impact business? If so, you may have found yourself a great partner. 3. Personal Relationship. Family and friends have been going into business together for centuries: Johnson & Johnson were brothers, and famous candy company Mars is still in the family more than 80 years after its inception. Still, there are many companies that have torn friends apart: Facebook started as an endeavor among friends and ended in a multimillion-dollar legal battle. If you’re entering a business partnership with a family member or close friend, be cautious. Just because you grew up together or have been friends for years doesn’t mean you’ll be compatible business partners. Think about how you approach life and where your habits diverge. Is your friend good with money? Is your sibling always late to family events or meetings? How do they handle stress, and do they tend to get in fights with friends that often go unresolved? If you dislike the answers to many of these questions, it might be best to seek out another business partner. There’s no rule that says you have to be great friends with someone with whom you venture into the business world. Of course it would be great to succeed alongside a family member, but think long and hard about what would happen to your relationship if you ran into significant business disagreements. On the other hand, if you think you can pull it off and your personal relationship will help with business operations, that’s great. You’ll know the ins and outs of your partner’s personality, and your natural compatibility will shine through. 4. Shared Vision. It is important to look for complementary and differing skills between business partners, but in order to succeed in managing a small business, company partners must agree on a future vision for the company. Sit down and talk with your prospective partner and discuss their goals for the company, as deciding ahead of time whether you’re aiming to expand or stay local, branch out to international clients, or eventually hire a team of employees are all extremely important. Each one is best positioned for producing positive results if enjoying the full support of both of you. Once you agree on these terms, it’s time for the real work—and fun—to begin.